In search of the perfect hair day, I’ve really tried everything - even things that seems so obviously wrong for my fine hair. 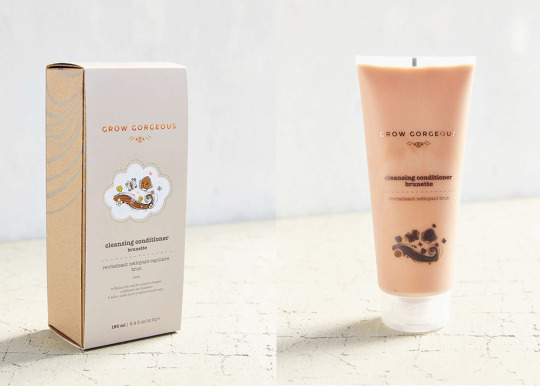 This cleansing conditioner, by Grow Gorgeous falls into the category of duh, do not use that … if you’ve ever tried this type of product, you know it’s basically like washing your hair with conditioner. They can be great for certain hair types but really weigh down fine hair. But whatever, I used it anyway. And it was j’amazing! It smells like a version of Angel - but in a good way - and gently foams, which makes it feel like it’s really cleansing. When you rinse it out, you do have a moment of wanting to add conditioner, but I just gently combed through my hair and all was well. The next day was truly an amazing hair day, with volume and bounce etc., and now I use this about once a week. (I just need to cleanse and deep condition the other days - I can’t deal without deep foam and super soft on the regular). I co-sign this product especially for days when you’re going to wave out or updo your hair - because those really benefit from non-squeaky clean locks. Tatum, our ed. assist, who has long thick hair, also vouches for best hair day in a long time….